A network of podcasts that aims to improve the quality of conversation on the internet and give a voice to those with something to say. Talking about the beautiful game from an American perspective. Talking with guests on nerdy pop culture, gaming, and fandom theories. We talk nerdy to you! Helping to empower others to believe they can do and be anything their heart desires. Featuring film and television news and reviews. The show celebrates the screens, both big and small, and highlights how they impact our culture. Grab a bucket of popcorn. Fade out. Cut to: A great time. The first time Keith and Katie ever got together they were in a coffee shop. From that moment on, coffee has been a staple in their relationship. They love having coffee and hope you’ll join them for one of their favorite pastimes. Take a peek at the pageant industry as Jess and Maddie speak candidly about their time in the Miss America Organization and beyond. Nicole Kelly and Sarah Tuberty powerfully deconstruct disability through candid conversations with experts exploring topics related to disability. They look to educate, empower, voice, and build a more inclusive society. Scott Wisnieski, Kevin Wells and RJ Gardner give you all the knowledge you need to crush your fantasy league each and every week. Film Session bridges the gap between sports and Hollywood. Join Keith Hoehne and Matt Danielewicz as they discuss the best (and worst) of both worlds and how the two are strikingly similar. Gregg and Dave bring you some of the most baffling, outright strange, and downright bizarre stories that you may have missed in the past week and try to answer the question "Is it news or is it noise?" You decide! The pageant podcast that covers all things on the Miss America Organization. Grab your crown and favorite heels and join Jordenne Butler and Annie Skogan as they dive into the exciting world of the MAO. Do politics, world news and the general negativity of the media have you bummed? Let's take a break from it all as we chat with your favorite names from TV, movies, music and sports. We'll talk about their stories, their careers and their everyday lives, so join me on HHP every week and get to know the stars that you already ... See More love! Hosted by Gerry Strauss. The official show of USL League 1 club Forward Madison F.C. The word disability gets a pretty bad wrap. Speaker, advocate and media journalist, Nicole Kelly, lives with a disability and is very proud of it. Join Nicole for her weekly show as she talks to experts in the disability community about topics we all need to know about. The show will broadcast LIVE on Public House Media's ... See More Facebook page on Monday nights at 8:30 pm CT and released as a podcast shortly after. Have it all together? Nope. Hot mess express? Not quite. Somewhere in the grey area? Heck Yes! We are on the journey of motherhood with you! Hosted by Stephanie Skiba and Liz Colburn. Find the beauty in the journey. Hosted by Liz Colburn. Hollywood is rife with scandal after scandal. What is held as common knowledge around tinsletown shocks the public. When the story breaks the mainstream media only publishes what they think is digestible. Here, we explore what's really going on from the inside out. PODCAST: A Star wars story. A place where your fellow geeks Ezekiel Drews and Danny Domer come to discuss all things Star Wars. Except for Jarjar! He knows why. A weekly commentary on the top stories in sports with the reporters, analysts, and experts who cover it all. 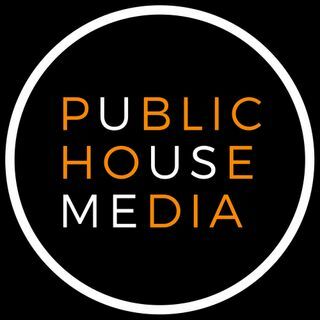 Listen to live game broadcasts from around the sports world exclusively on Public House Media. Bringing you real people sharing relevant information about their careers, goals, accomplishments, and passions in a relatable, relaxed forum. All in hopes of inspiring you to courageously chase after your dreams and overcome any obstacles that lie in your way. A relatable sales podcast for your weekly dose of sanity. Sales advice, self-help, and business talk fun times. Host McKenna Collins takes listeners on in-depth explorations of how influential leaders in society rose to the top and what propelled their achievements. For as long as sports have been in the public eye, people have been buying tickets. Those of us in The Cheap Seats may not have an up-close view but we always have opinions. Full of fun banter, insightful interviews with experts, and some topics you wouldn’t expect. Bringing people together each week for lighthearted, fun and entertaining banter about some of life's more debated and often puzzling questions. Practical examples of how the Bible can be applied to our lives and draw us closer to all that God has to offer. Únase a la presentadora Peggy Rojas mientras habla sobre cómo vivir su vida en equilibrio con consejos útiles y orientación para que cada día sea lo mejor posible. Join host Peggy Rojas as she talks about living your life in balance with helpful tips and guidance to make each day your best. The show that puts contestants and regular panelists to the test with their sports knowledge from the past week’s news. A motivational podcast that provides a hope and a dream that fuels your soul to dream big and dream boldly. You are made for more. Join soccer fans from around the globe as they cover the thrills, upsets, goals, defeats and breathtaking moments from the beautiful game of soccer.